(Reuters) - Carmaker Volkswagen AG rejected on Thursday a report suggesting it had decided against doing business in Iran after coming under pressure from Donald Trump's ambassador to Germany, saying its position on the country had not changed. 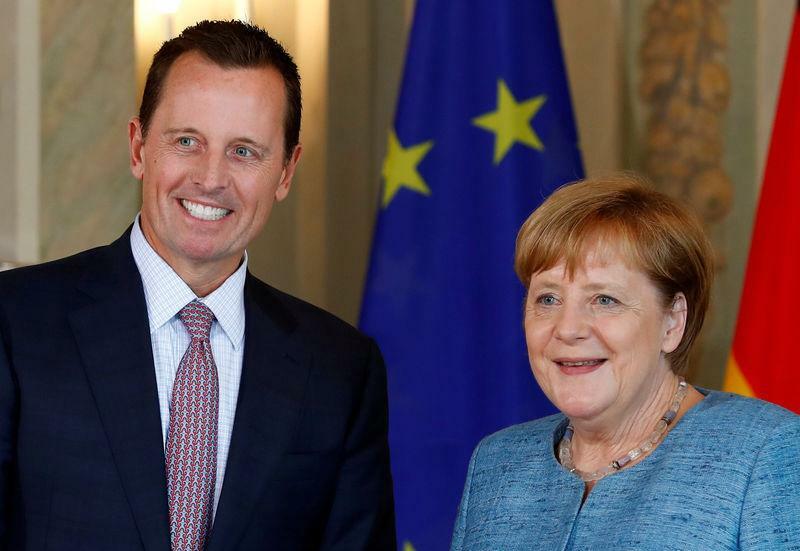 Ambassador Richard Grenell has appeared to take credit for this shift in a series of tweets and interviews over the past weeks, announcing the withdrawal of German blue chips like Siemens, BASF and now Volkswagen, to the surprise of the companies themselves. However, a company source said there had been no talks with Grenell on Iran. And a VW spokesman told Reuters that the company's position had not changed in recent weeks. Asked about the VW response, U.S. embassy spokeswoman Christina Higgins said: "The U.S. ambassador has been speaking for quite some time to CEOs and industry leaders urging that they comply with U.S. sanctions." Within hours of landing he sent a tweet warning German firms to halt all activities in Iran. Weeks later he drew fire from German politicians for telling right-wing website Breitbart News that he wanted to empower "other conservatives" in Europe. His remarks on Thursday about Volkswagen's Iran plans triggered more criticism. "The policies coming out of Washington are having an impact. But this has nothing to do with the ambassador," he said, urging Grenell to be more careful in his choice of words. "The German and European economies are strong. We don't need to take orders as if we were an occupied zone."